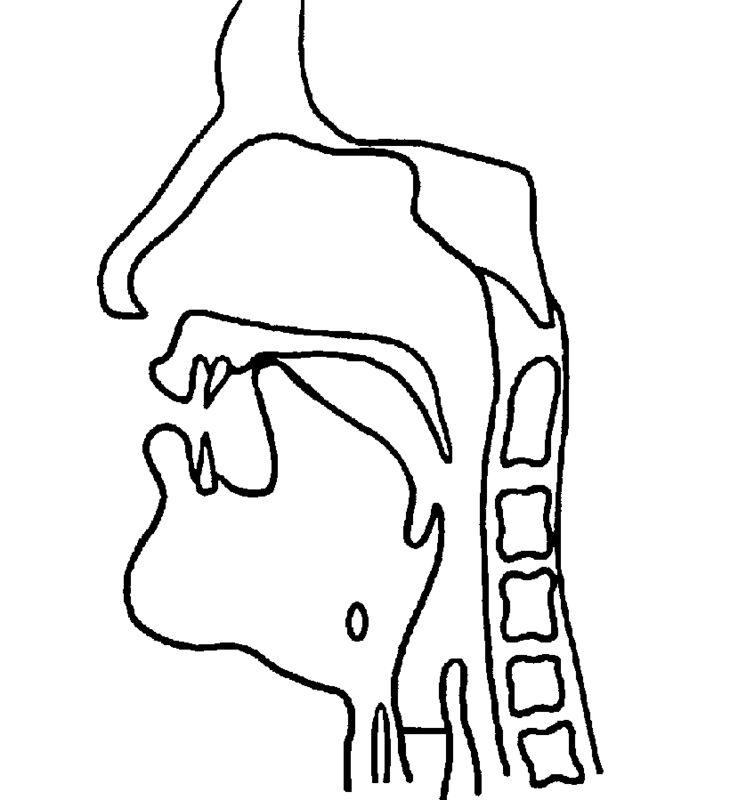 As noted, when a person makes any plosive sound, the soft palate is raised so that it touches the back of the throat above the pharynx. This prevents air escaping through the nose. All air is, therefore, directed out through the mouth. We have noted that all consonants produced in this way are referred to as oral consonants (see Making Speech Sounds). Nasal sounds are similar to plosives in that there is a complete obstruction of the airflow in the mouth but, in contrast, the air pressure is not allowed to build up behind the obstruction. Rather, it is allowed to escape through the nasal cavity by lowering the soft palate. Consequently, it is possible to take a breath and prolong a nasal sound. Try it for yourself. Take a deep breath and see how long you can sustain the nasal sound /m/ as in the word man. Now see how long you can support a /b/ sound: remember to say /b/ as it sounds at the start of the word bin and not its alphabetic name B, which would sound like /bi/. With a good breath an adult should be able to sustain /m/ for at least 10 seconds but /b/, if articulated correctly, cannot be held for more than a second: the air escapes and that is the end of it. 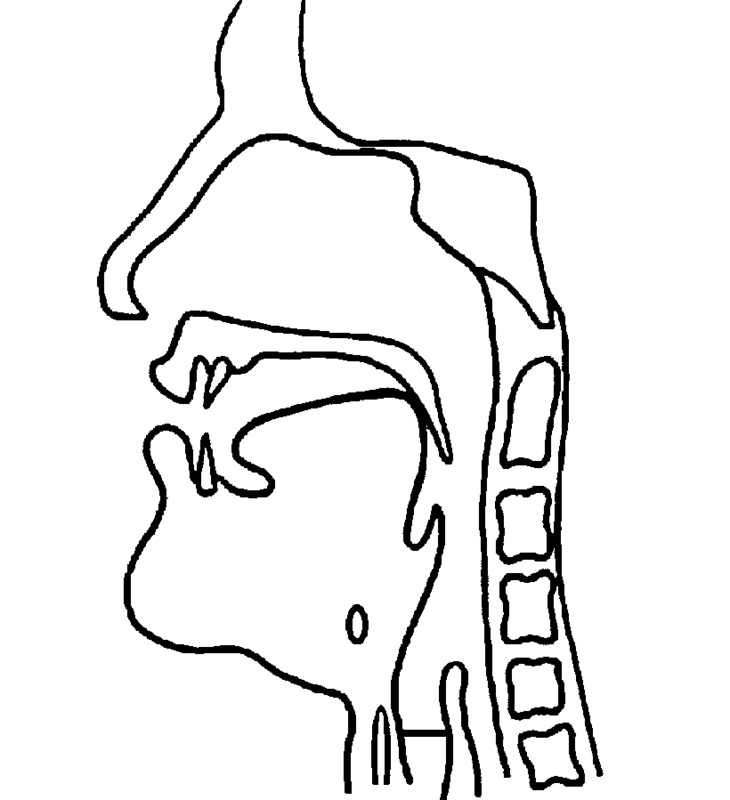 Nasals are, therefore, sometimes referred to as continuants because there is a continuous passage of the air stream through the vocal apparatus. There are only three English nasal consonants and they are all voiced. They are made in exactly the same position in the mouth as the plosives and, therefore, they are named similarly. 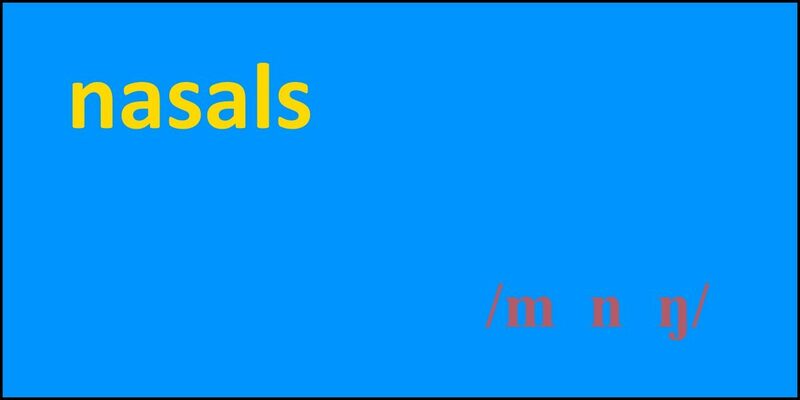 As we have seen there are bilabial, alveolar, and velar plosives and, likewise, there are bilabial, alveolar and velar nasals. This sound is formed by the lips coming together to produce the obstruction. As already mentioned, however, the air is allowed to escape continuously through the nose rather than explosively out through the mouth. The bilabial nasal is one of the first sounds to emerge in the developing child and its use is typically mastered by 3;00 years of age. 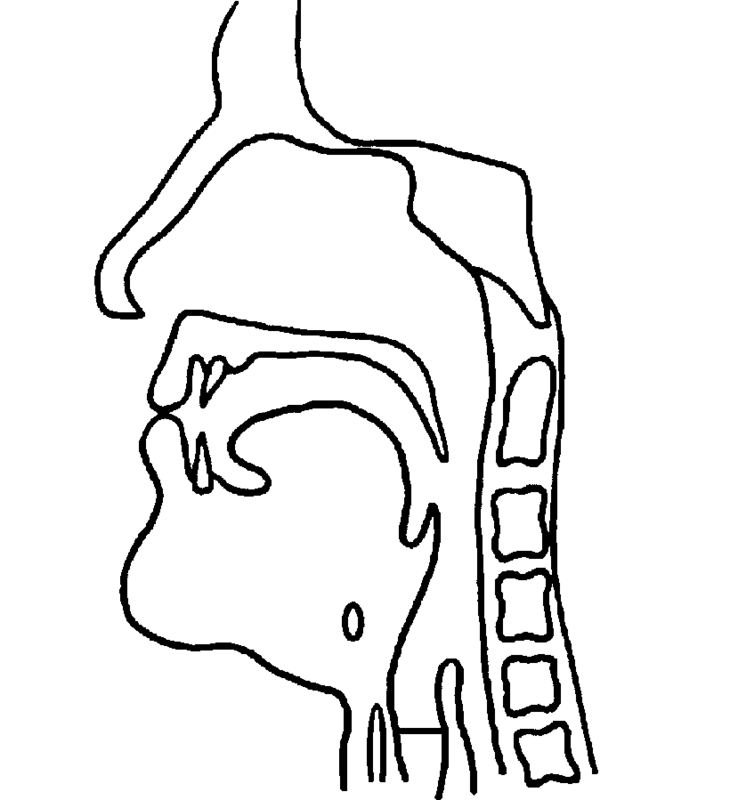 This nasal is made with the obstruction between the tongue tip and alveolar ridge and it is, therefore, the alveolar nasal. The alveolar nasal is also consolidated a little later than the bilabial nasal, usually being mastered by 3;03 years. This sound never appears at the beginning of syllables in English. This means, therefore, that there can be no English words beginning with /ŋ/. The velar nasal emerges around the same time as its bilabial and alveolar counterparts, with around 50% of children using these sounds at 2;00 years of age. However, it can take much longer to master the use of the velar nasal – anything up to 7;00 years.